The agreement announced between China and Japan to strengthen financial ties and promote yuan-yen trade is a small, but notable, step towards a new global economy. Its immediate practical significance is limited, yet the deal signals that a deeper transformation is under way—and one that the world should welcome. The agreement will let a Japanese-backed institution sell yuan bonds in China, helping to open China’s capital market. 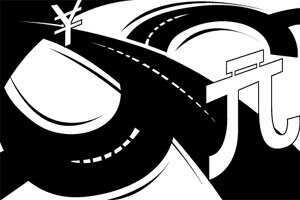 In return, Japan will convert some of its foreign exchange reserves into Chinese bonds. China has signed financial pacts with other nations, mainly in Asia, but the size of China-Japan trade—$340 billion last year, and growing fast—makes this deal the most important by far. Warmer relations and short-term benefits for regional trade, though, are not the main reasons the agreement matters. China seeks a bigger role for its currency in global markets, and wants power in international forums that is commensurate with its economic might. The sooner its currency is fully convertible and its economy is open to global investment, the sooner this will happen. The deal points the way, nudging the yuan toward its inevitable status as a global reserve currency alongside the dollar, yen and euro. For all parties, this process has both benefits and costs, but in the end all stand to gain. A fully internationalized yuan would be free to appreciate. China’s trade surplus, a destabilizing force in the world economy, would then be self-correcting, and the friction in US-China economic diplomacy would subside. The US had a $273 billion deficit in the trading of goods with China last year, a figure that US politicians of all stripes find intolerable. On 27 December, the US decided not to designate China a “currency manipulator", and instead pointedly criticized China’s resistance to greater exchange rate flexibility. Republican presidential candidate Mitt Romney isn’t so reticent: As one of his first actions in office, he says, he would bring a currency manipulation case against China at the World Trade Organization. The risk for the US, if the yuan strengthened abruptly, would be higher interest rates and inflation, reflecting the shift by investors away from the dollar to the yuan, and the steeper cost of Chinese goods. The risk for China would be a too-sudden squeeze on its exporters. Over the longer term, though, avoiding the huge imbalances caused by China’s undervalued currency would be good for everybody, and not least China, where the cheap yuan policy misallocates investment and suppresses living standards. When the dollar loses its pre-eminence as a global currency, the US will need to adjust. Dollar bills in circulation are, in effect, a gift to the US—they cost cents to print yet they buy a dollar’s worth of goods and services, a hidden form of payment that economists call seigniorage. A stronger yuan will transfer some of this seigniorage to China. More important, creditors may look more cautiously at US bonds if the dollar becomes just another currency. If by then America hasn’t beaten its addiction to public borrowing, this change would force the US to do so, and the experience could be unpleasant. Not to be discounted are the symbolic, as well as material, benefits associated with printing the world’s leading currency. It is a mark of prestige and a badge of global leadership, which is precisely why China longs to share it. America might be tempted to resist or resent this development, but that would be a mistake. A grown-up yuan means a more stable world economy, which would hugely benefit the US. In any case, China’s size and vitality assure both its geopolitical strength and the yuan’s eventual standing as a global currency. Resistance is pointless.